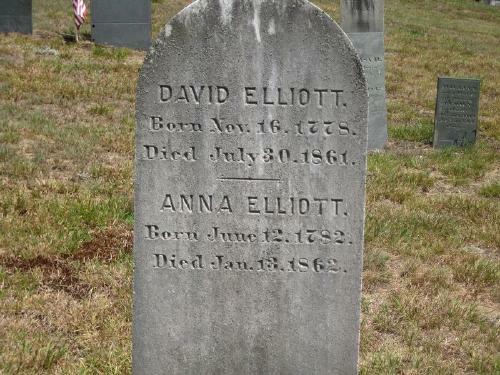 Alvah married before January 9, 1825. In 1872, Alvah lived on the road leading from Goffstown to Grasmere where his son Alfred after resided, Goffstown, Hillsborough County, New Hampshire. Alvah died on April 3, 1896 in Goffstown, Hillsborough County, New Hampshire, at age 91. 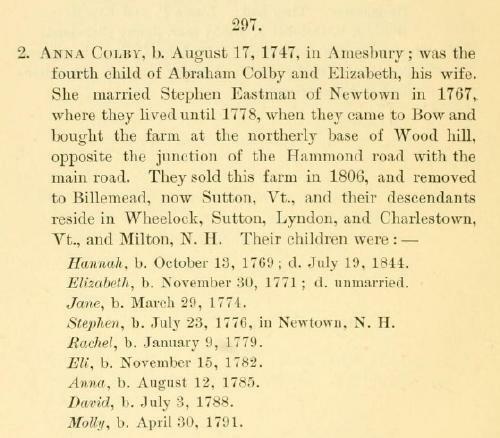 Frederick Lewis Weis, The Colby family in early America; early generations of the descendants of Anthony Colby of Boston, Cambridge, Salisbury and Amesbury, Massachusetts, 1595-1661, , at https://books.google.com/books?id=TXdGAAAAMAAJ . Caledonia: The Colonial Press, (1970) , pp. 52-3. 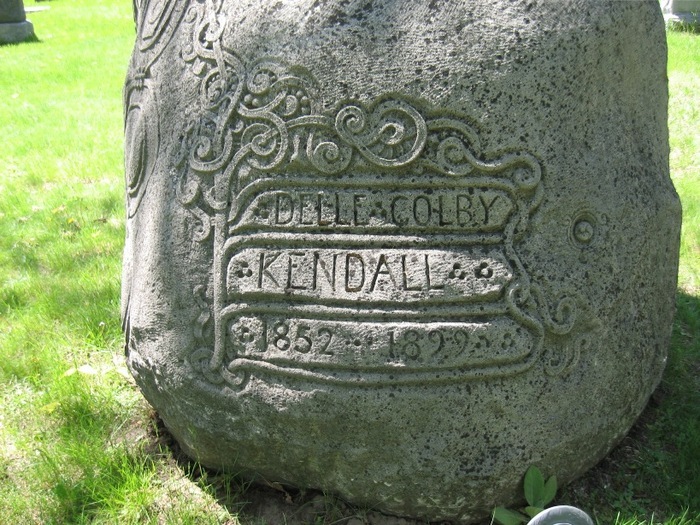 "Massachusetts Deaths, 1841-1915," database with images, FamilySearch (https://familysearch.org/pal:/MM9.3.1/TH-266-11127-22046-89?cc=1463156 : 20 May 2014), 0960196 (004221411) > image 507 of 691; State Archives, Boston. "Massachusetts, Births, 1841-1915," index and images, FamilySearch (https://familysearch.org/pal:/MM9.1.1/FXCQ-7J7 : accessed 30 Nov 2012), Colby, 1851. 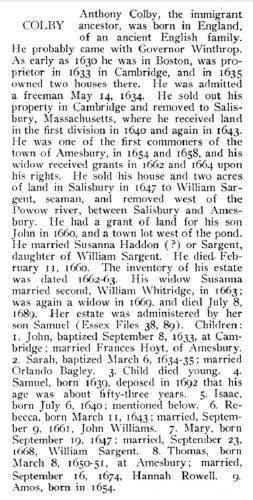 Massachusetts Vital Records, 1841-1910, , Vol: 297 ; Page: 78. John Brooks Threlfall, Fifty great migration colonists to New England & their origins, , at https://books.google.com/books?id=3zohAQAAMAAJ . Madison, Wis.: (1990) , p. 130. Vital records of Salisbury, Massachusetts, to the end of the year 1849, Topsfield, Mass. 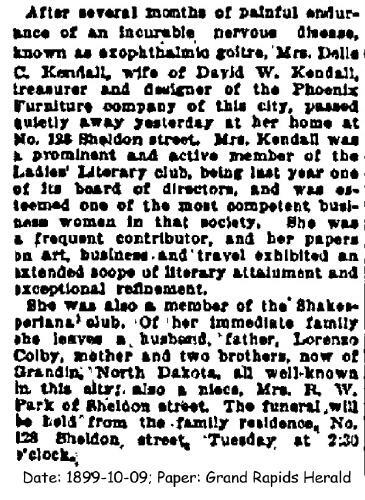 : Topsfield Historical Society, (1915) , p. 541. 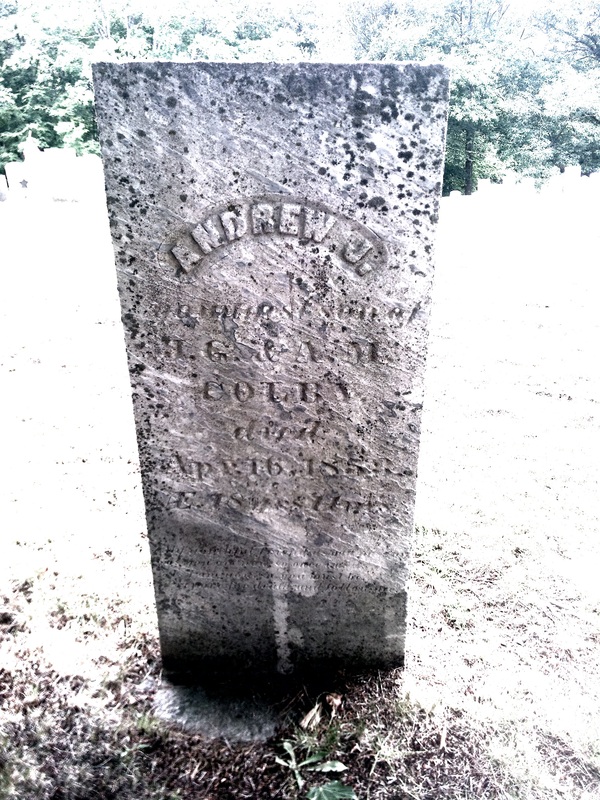 Archelaus Colby drowned in 1826 in Kimball Pond, Dunbarton, Merrimack County, New Hampshire. While crossing on ice. 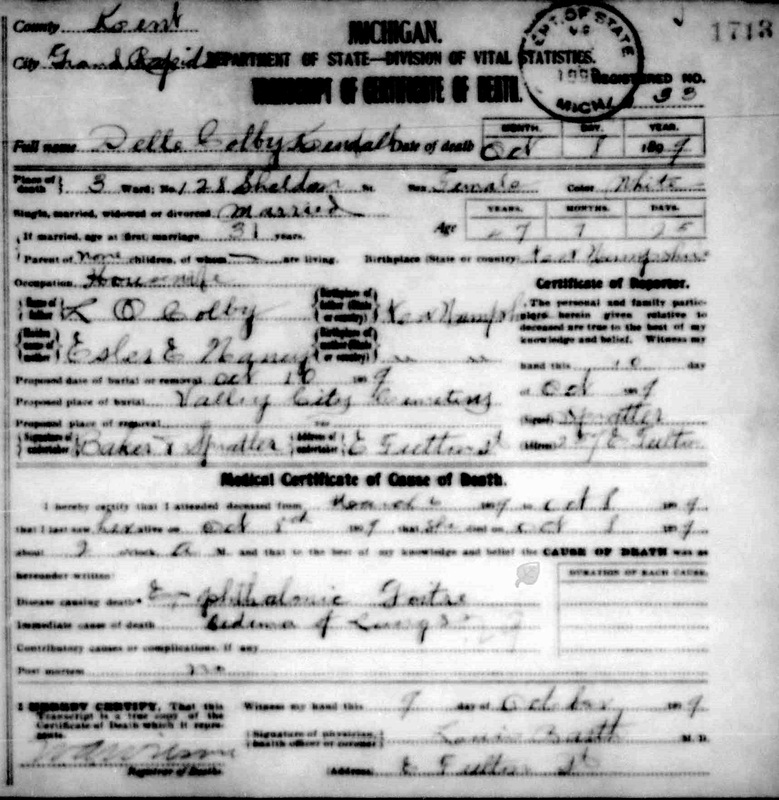 New Hampshire Statewide Marriage Records 1637-1947,, Concord: New Hampshire Bureau of Vital Records and Health Statistics,. 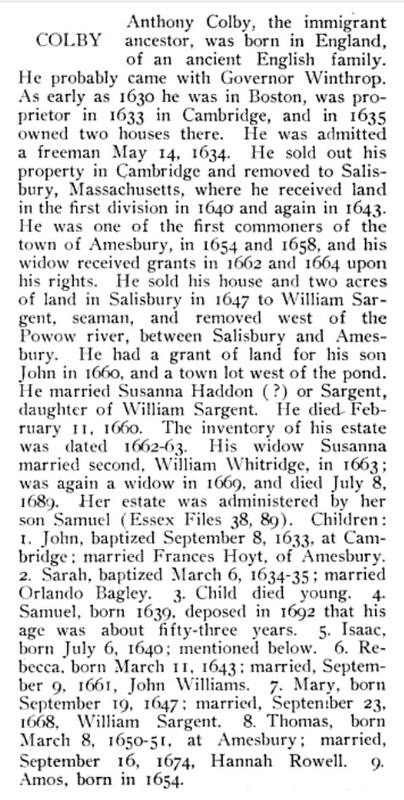 Caleb Stark, History of the Town of Dunbarton, Merrimack County, New-Hampshire, from the Grant by Mason's Assigns in 1751 to the Year 1860, , at https://books.google.com/books?id=Cv7hcQ8-5bIC . 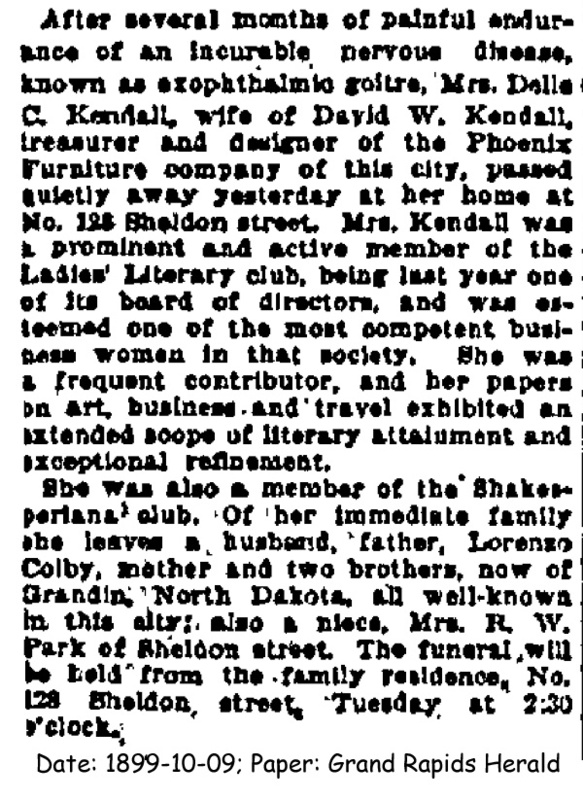 Concord: G. Parker Lyon, (1860) , p. 162. 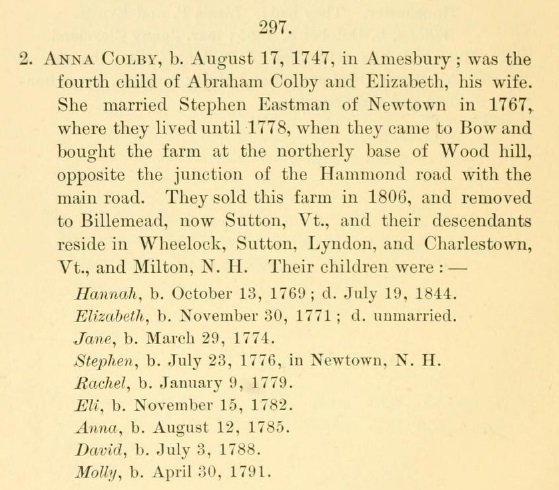 "New Hampshire Death Records, 1654-1947," database with images, FamilySearch (https://familysearch.org/ark:/61903/1:1:FSKJ-X8H : accessed 10 October 2015), Arvilla A Colby, 23 Oct 1856; citing Manchester, Bureau Vital Records and Health Statistics, Concord; FHL microfilm 1,001,068. Find A Grave Memorial# 95471509.